After the release of the controversial documentary film "Blackfish," SeaWorld's ethics were under extreme, justifiable scrutiny. 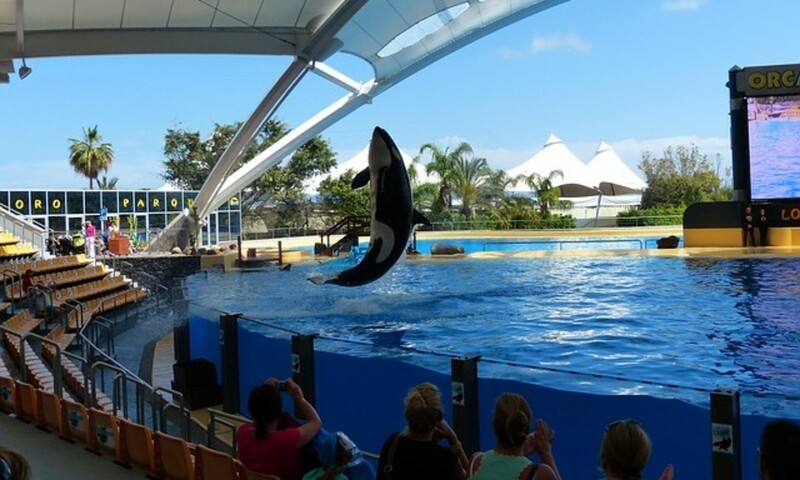 The documentary revealed a much deeper look into the practices that the marine theme park was partaking in concerning the issue of keeping orcas (also known as "killer whales") in captivity. The film revolved around "Tilikum," a highly intelligent, seemingly emotional 12,000 pound captive male orca that was involved in the death of a SeaWorld senior staff trainer in 2010. It follows Tilikum's unimaginably cruel life, from the moment he was literally cornered and stolen from his mother in the waters of Iceland as a calf, to his miserable and offensively inhumane confinements, which is where Tilikum sadly remains to this day. In light of the new and profound interviews with the ex-oceanarium employees, SeaWorld has been trying to get in front of a runaway train of bad PR and boycotts of their theme parks. After I watched this documentary, I was so enraged by the heartlessness some people can have in pursuit of profit. Tilikum's treatment and current circumstances set a disgustingly sad example of animal treatment for decent human beings. Have You Seen the Shocking Documentary, Blackfish? Not yet, but I plan to.. 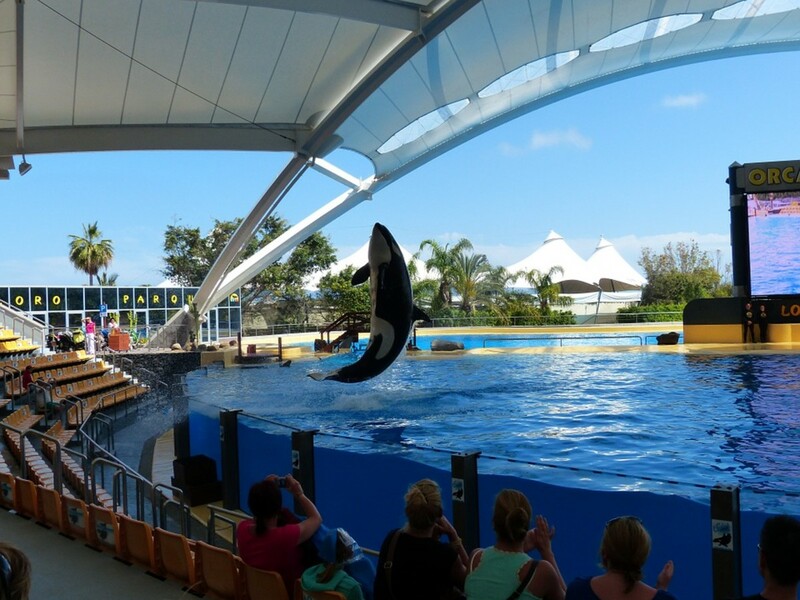 Here is an overview of the treatment and conditions faced by killer whales held in captivity. However, one can never fully understand the mental strain and stresses orcas are constantly subjected to when being confined and kept in captivity. Orca populations are widespread among the oceans and they can travel upwards of 100 miles in one day, yet captive killer whales are held in small concrete tanks. In the wild, orca whales have a general life expectancy of 40-55 years, an extended possible lifespan of 60-75 years for males, and 75-100 years for females. Captive killer whales usually live 10 years. All captive males have limp dorsal fins, yet it is rare for any wild orca to be afflicted with this condition. A collapsed dorsal fin is a general sign of a sick or injured killer whale. Captive orcas are fed an unnatural diet of dead fish, pig, and cow bones. When multiple killer whales are placed together that are not socially compatible, it causes serious anxiety for the whales and will inevitably cause aggression. In the wild, orcas do not attack one another, they will simply move away to ease tension, but in captivity, there is nowhere to go. This leads to fatal contact, only confined spaces like a SeaWorld whale tank produce these careless consequences. Orcas strong connection to their families cannot be overstated. 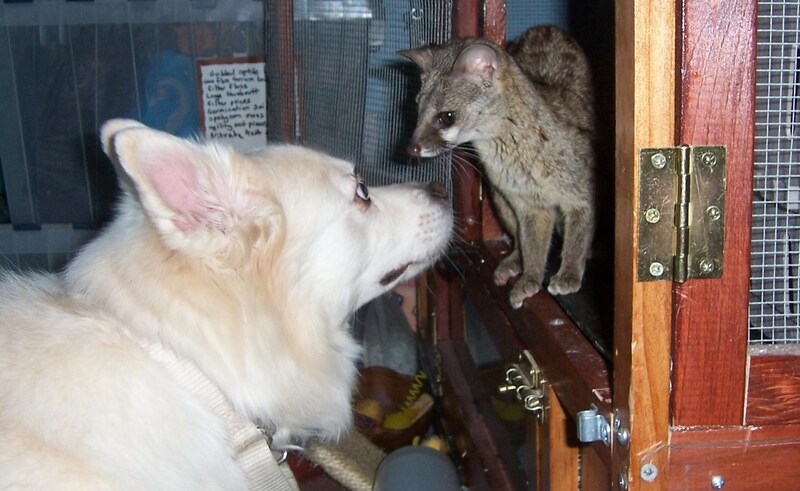 They have deep connections and are highly sensitive and social mammals. In some pods, the young stay with their mothers and pods for their whole lives. 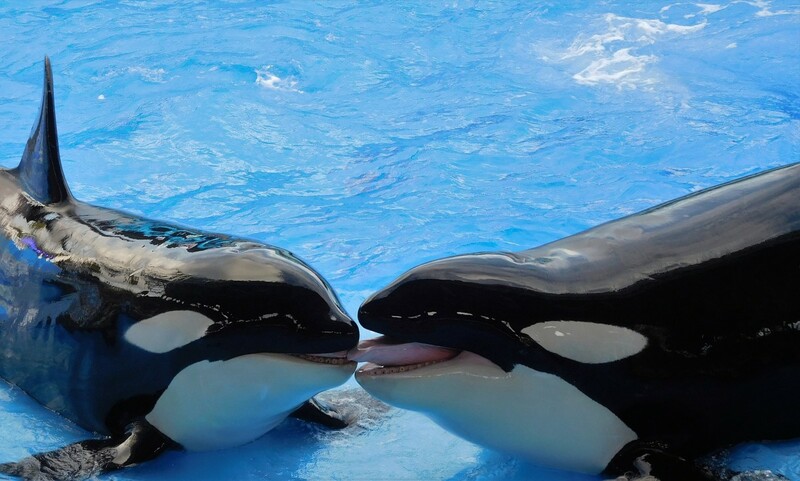 In captivity, they are forced into close proximity with unfamiliar whales. Captive orcas have bad teeth as a result of the whales regularly biting on the concrete barriers and steel bars of their tanks while trying to find a means of escape. What is SeaWorld's idea of a dental plan? It's painful, deep drilling without painkillers or anesthesia. How Intelligent Are Killer Whales? A group of researchers explored and examined the brain of a dead killer whale with the use of a MRI and found that orcas have an enormous capability for emotional expression and intelligence. This information really opens the door for us to further speculate on the level of a killer whale's capacity for high cognitive functions and emotional complexity. Killer whales possess the second largest brains out of any other ocean-dwelling mammal. Their brains can weigh up to 15 pounds. Marine biologists and researchers are still struggling to figure out how killer whales have specialized dialects within an orca pod and unique hunting methods that are passed down from one generation of orca to the next. Humans and apes exhibit this exact culture of inheriting knowledge and experience from previous generations. A killer whale's brain is about four times as large as a human brain. 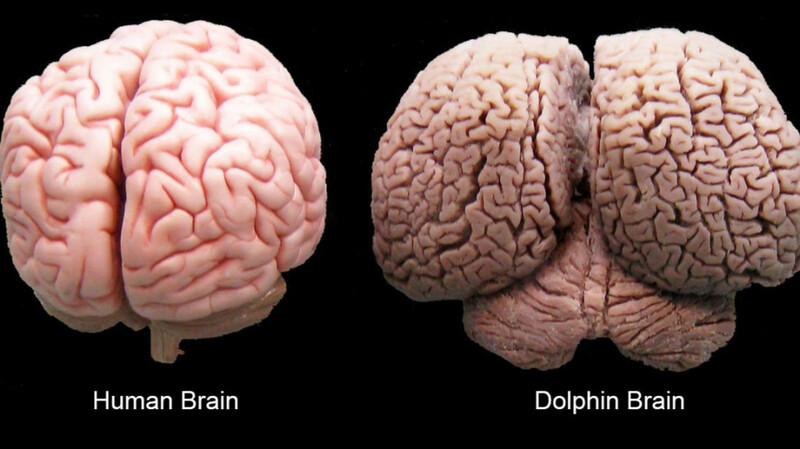 Additionally, the whales' brains possess more surface area with regard to brain weight than human brains. 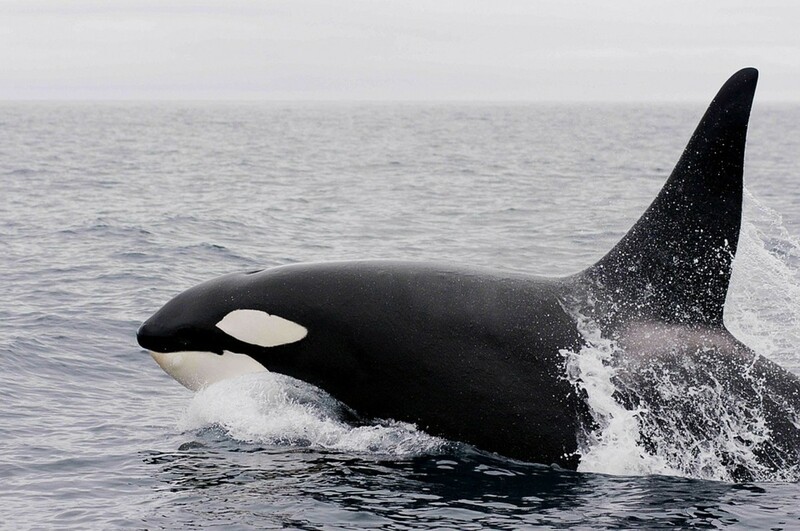 Orca brains also engage in nerve transmission at greater speeds and have developed more enhanced areas in the brain that vastly exceeds those of the human brain. Compared to humans, a killer whale's brain is more or less, 4 times as large as a human's brain. 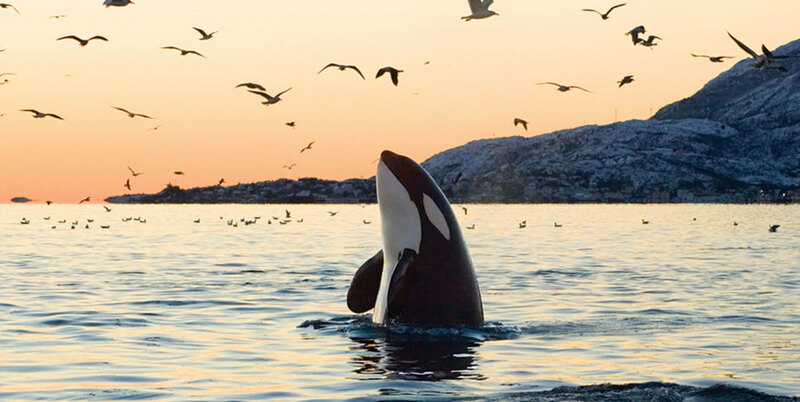 Unbelievable as it sounds, orcas in the wild do not typically attack humans. There have even been confirmed reports and eye witnesses accounts of orcas that have come to the aid of drowning victims and chased away sharks in a human's vicinity. It's obvious they sense something in us is worth protecting. Considering their reported treatment of humans in the ocean, mankind should adjust our treatment of these majestic animals accordingly and ensure that those in captivity are well-cared for. The scientists involved in orca research have yet to discover evidence that killer whales in the wild have ever caused any human fatalities. Yet they aren't surprised that the world's largest, most powerful and possibly smartest apex predator in a state of extreme frustration, could lash out at nearby humans. Which, unfortunately, are the humans that care for them most, their committed trainers. Years ago, Dawn Brancheau, a seasoned SeaWorld trainer was pulled into a tank and killed by Tilikum, who already had past violent outbursts. It was a violent death that was utterly tragic, yet the incident called for further investigation of the mental health and stability of captive orcas. To this very day, SeaWorld has the audacity to still claim that Dawn was negligent and was solely at fault for her own death. Killer whales inhabit every ocean on the planet. They aren't actually whales at all, they're the world's largest species of dolphin. They have surpassed sharks as the top apex predator in the sea, after the recent discovery of a particular pod that actively and successfully hunted great white sharks. The majority of male orcas never leave their mother's side. They can swim at speeds of up to 40 miles per hour. Killer whales are known as "wolves of the sea," for their cooperative nature in tactically hunting for prey. They're not fish. Orcas are marine mammals. They are warm-blooded and will feed their young with milk produced by the mothers. Hardly surprising, their pods are considered one of the most stable social structures of any animal species on earth (and yes, that includes humans). You can make a difference in the way killer whales are treated by sharing this information with friends and family who are unaware of what is transpiring in the traumatic lives of captive orcas. Insist that they do not support marine parks and their horrendously terrible treatment of these highly intelligent animals. I can't fully describe the satisfaction I would gain to successfully help spread awareness about this issue. I hope readers will be motivated to respond to this call to action by actively helping to spread further awareness about captive whale welfare. I hope this article inspires people to boycott SeaWorld and other marine life theme parks. Readers can also quickly make a difference right this moment by taking the pledge to protect these creatures, at TakePart. I want to take a minute to thank the readers for making it through my article. As you can probably tell, this issue is a very emotional one for me and I'm passionate about securing better treatment for captive animals. I am somewhat at a loss for words when I try to describe what kind of people (and I use that term loosely) SeaWorld executives are. I, for the life of me, will never understand the level of greed required to mistreat animals for profit or in general. 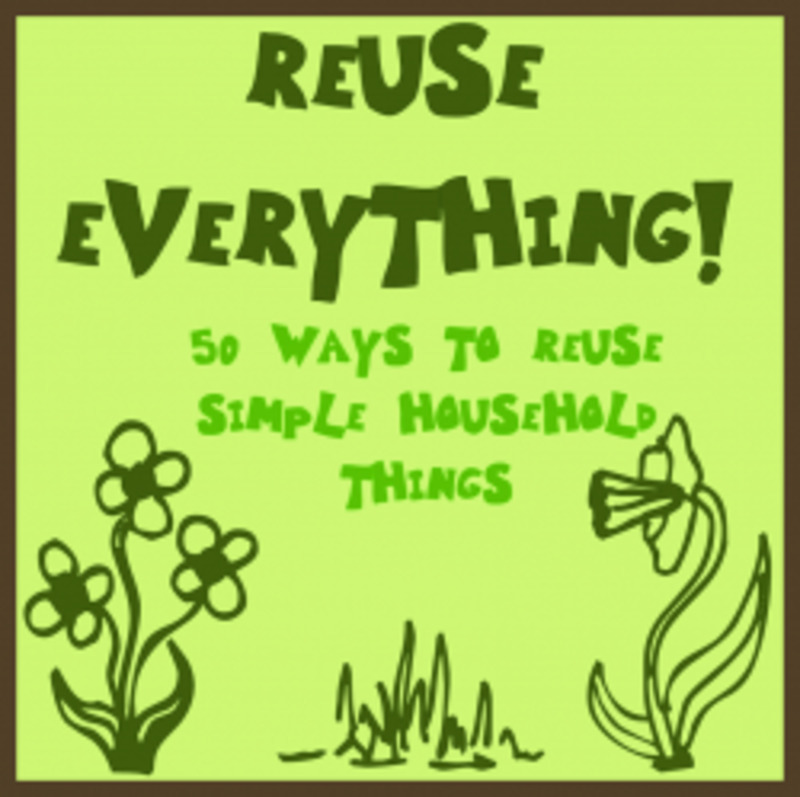 Please share this article with friends and your social network to help spread awareness! Yes. Those Orcas are probably sad and who takes away baby orcas for some freaking money? Those people are just freaking stupid! 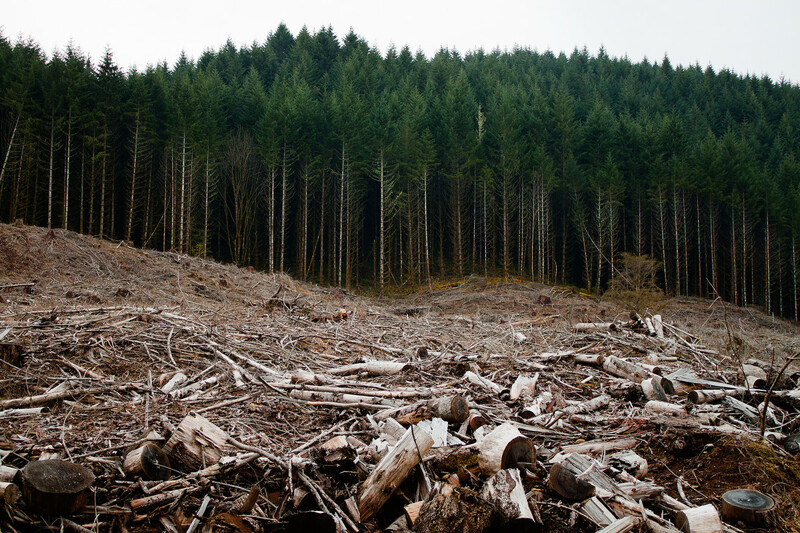 Money is less important than nature! Orcas shouldnt be held in captivity in confined tanks and shouldnt be forced to perform silly tricks. Obviously they are unhappy and will lash out from time to time. I was also saddened and angered to learn that for dental treatment, there is no anesthesia given to them and they undergo painful(very painful) drilling. This is unacceptable. As far as Orcas attacking people in the wild, its very rare. Perhaps Eskimos are eaten by Orcas with no eyewitnesses and no one to record it. Orcas in the Antarctic seem to be more likely to attack people, perhaps because people rarely venture into the Antarctic. Perhaps they confuse humans with their natural prey which are seals. Attacks on humans in captivity are understandable. 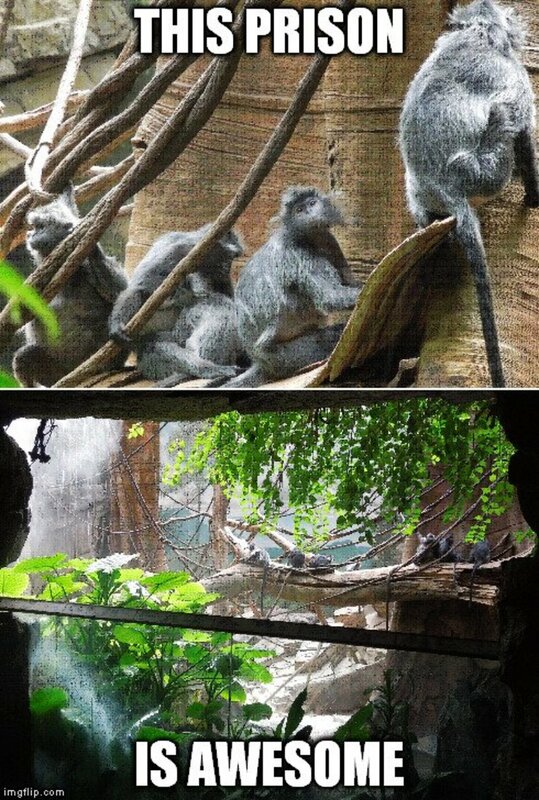 They are unhappy being in captivity. Its as simple as that. The best way for humans and Orcas to coexist and for that matter, all other wild animals, is for the Orcas to be allowed to live in the wild. If they choose to interact with humans in bays and harbors or anywhere near land, then thats wonderful. Let them come and go as they want. This is a very interesting article, Michael. I learned a lot about Orcas in captivity, and free. I totally agree with you that these great creatures belong in the sea where they live full lives. @Bill and Shelly - Thank you both for your support in the idea of freeing highly intelligent captive orcas. God bless! I saw the documentary also, and it was hearbreaking. Good job on this. I watched the documentary. Eyeopener!